How do you back up your Apple Watch? Automatically! Apple offers automatic backup services for most of its devices these days, and your Apple Watch is no exception. Here's how the Apple Watch syncs your important data, and how you can force it to trigger a backup. What will my iPhone sync? What won't my iPhone sync? How often does my Apple Watch sync? Does my Watch backup live locally or in iCloud? Can Apple Watch save data even when it's not connected to iPhone? What is an Apple Watch backup? Can I move Apple Watch backups to a new iPhone? Whenever your Watch is connected your iPhone via Bluetooth or Wi-Fi, it automatically syncs your latest Health, Workout, Activity, and app data. The first three bits get synced to the Health app, where they're either encrypted and stored in iCloud, or stored as part of your encrypted iPhone backup. Your app data is bundled in as part of your iPhone backup, because Apple Watch apps are technically just extensions of iPhone apps. Note: If you use unencrypted iTunes backups to back up your iPhone, you'll lose out on saving any Health data — make sure you're backing up via iCloud, an encrypted iTunes backup, or you sync your Health data via iCloud. You can also back up your health data separately via a third-party app, but it's not nearly as easy of a process (and you'll lose all your Activity achievements). As such, what you might think of as a backup is really more of a "sync" — the Apple Watch syncs to your iPhone's database, and any Watch-specific information (like watch faces and settings) are siloed into a special slice of the backup file. This is also why you can't force a manual Apple Watch backup in the same way you can press "Back Up Now" for the iPhone's iCloud backup service — since your Apple Watch is constantly syncing information to your iPhone, you shouldn't need to manually sync it. As such, if you need to unpair and re-pair your Apple Watch — either as a troubleshooting measure, to force a sync, or to switch to a new iPhone — you'll need to re-pair your non-W1 Bluetooth accessories, re-enter your Apple Pay cards, and set up your passcode again. How often does my iPhone sync to my Apple Watch? It's a similar cycle to that of services like iCloud Photo Library and the like — any time your devices are within range, it feeds a steady stream of data between the two. Unlike most of iCloud's services, however, the Apple Watch can use either Bluetooth or Wi-Fi; as such, if you've hiked out into the wilderness with your watch and your iPhone, you can still sync your Activity data without a hotspot present (assuming the Bluetooth connection is strong enough). Does my Watch backup live locally on my iPhone or in iCloud? When you initially sync data between your Watch and iPhone, that information lives locally on your iPhone. 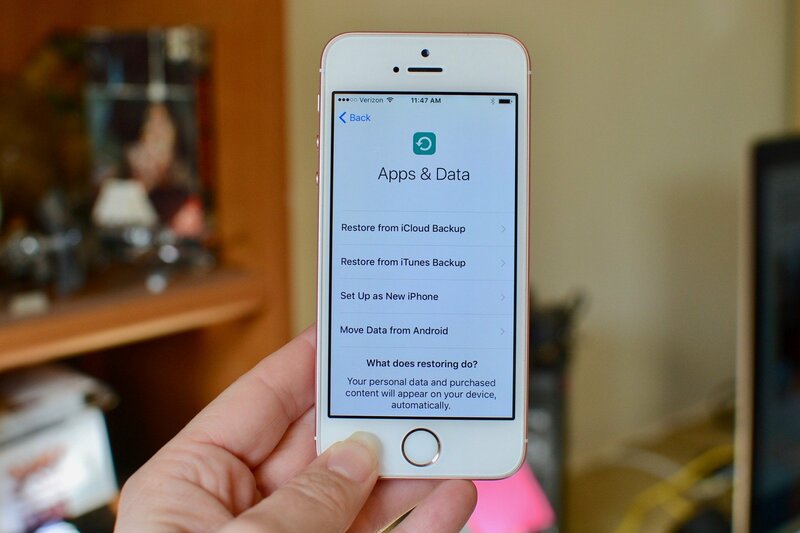 Some of that information will then sync to iCloud (for instance, if you have your Health data stored in iCloud); the rest of it will save to either iCloud or iTunes when you back up your iPhone, depending on the backup type you employ. As such, even if you lose your iPhone, as long as you've backed it up recently and have access to your Apple ID, you can restore your Apple Watch with little to no loss of information. Can my Apple Watch save data even when it's not connected to my iPhone? Yup! Whether you're going running sans iPhone or you've decided to take a weekend camping trip solely with your Apple Watch, whatever exercise and health data you create while away will save locally to your Apple Watch (up to 30 days' worth of information) until you're once again in range of your iPhone. So if the Apple Watch just syncs data to iPhone, what's an Apple Watch backup? When you sync settings data from your Apple Watch to your iPhone, it doesn't just end up in the random free-floating package of an iPhone backup — iOS puts this data in a specially-labeled Apple Watch container. As a result, if you ever have to un-pair and re-pair your Apple Watch, or you upgrade to a new Apple Watch, you'll be able to use that data to restore it to its former self. Can I send my Watch backup to my friend's iPhone? Nope: As we mentioned above, your Watch backup is intrinsically tied to your iPhone and its backup, so you can't send your Watch's data to your friend's iPhone. That said, there is a way to move Watch data from an old iPhone to a new one: If your new iPhone gets restored from your old iPhone's backup, you can restore your watch from a backup when you re-pair it without a problem. As mentioned above, there's no "Back up" button in the Watch app to manually sync your Apple Watch, largely because you don't need it. But if you're upgrading to a new Apple Watch (or switching to a new iPhone) and want to make sure every last bit of data has been synced, you can do so by un-pairing your Apple Watch when both it and your iPhone are connected. This will trigger one last sync with your iPhone before wiping your Apple Watch to factory defaults. Note: Because you can't use your current Apple Watch while it's unpaired from your iPhone, we recommend waiting until you have both your old and new iPhone (or old and new Apple Watch) in hand before starting this process. Once you've forced your Apple Watch to make a backup, you'll want to restore it — either on your existing phone, or your new iPhone. Here's how to go about it. Still curious about Apple Watch and backups? Give us a shout if you have any other questions and we'll try to answer them.